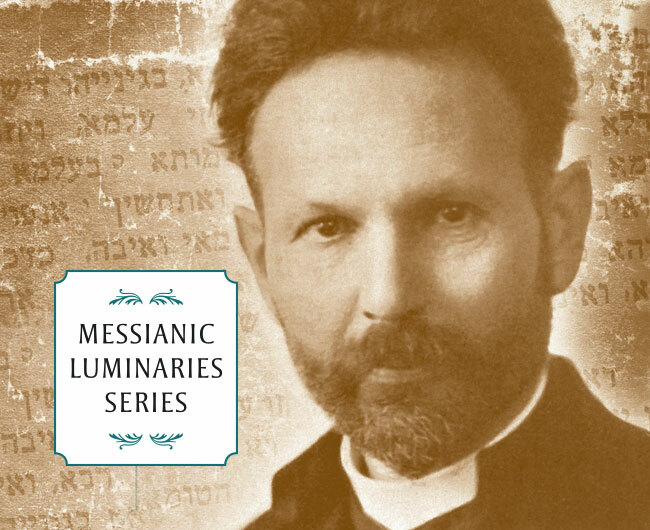 A Chasidic discourse from one of the pioneers of Messianic Judaism, crammed with stimulating thought and pervaded by real spiritual beauty, Love and the Messianic Age is a mint of good things and solid learning. The focus of this work is on the concept of love—love for God and love of fellow as expressed in Chasidic thought and the words of Yeshua. Paul Philip Levertoff, a Jewish believer from a Chasidic family with a classical, Yeshivah education, summarizes the complex, esoteric teachings of Chasidic Judaism for the purpose of comparison and contrast with apostolic theology. Levertoff reveals a mystical thrust behind the Gospel and unfurls the Messianic concept of love—love for God and love of fellow—bound up with the experience of knowing God and fearing God, relationship to His Torah, and a life characterized by joy, prayer, and repentance. This is a book about experiencing God and attaining the revelation of the Messianic Era in the here and now. This is an important book for Messianic Judaism and Christianity both. It opens a field of inquiry and reflection which encourages us to internalize the spiritual truths of theology and of our faith in Messiah and causes us to consider our relationship with God, our motivations for serving him, and how our interactions with God and Torah can be expressed in hearts of joy, acts of love, fervent prayer, and sincere repentance. Most importantly, Levertoff’s work demonstrates just how mysterious and wonderful the Gospel message actually is. 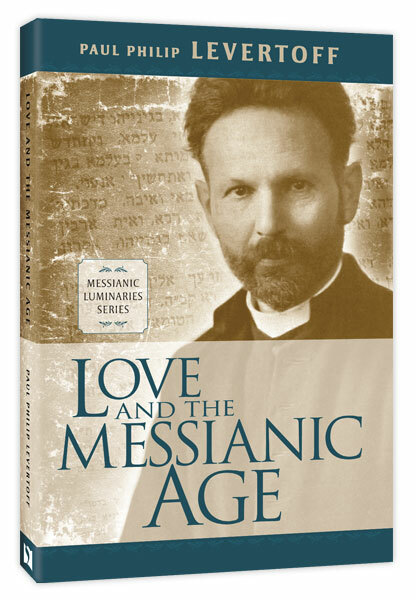 Love in the Messianic Age is adorned in a magnificent, sturdy gold-embossed hard cover, and it would make a handsome and classic addition to any library. Its 87 pages contain a biography of the author and an introduction by D. Thomas Lancaster, as well as numerous footnotes. 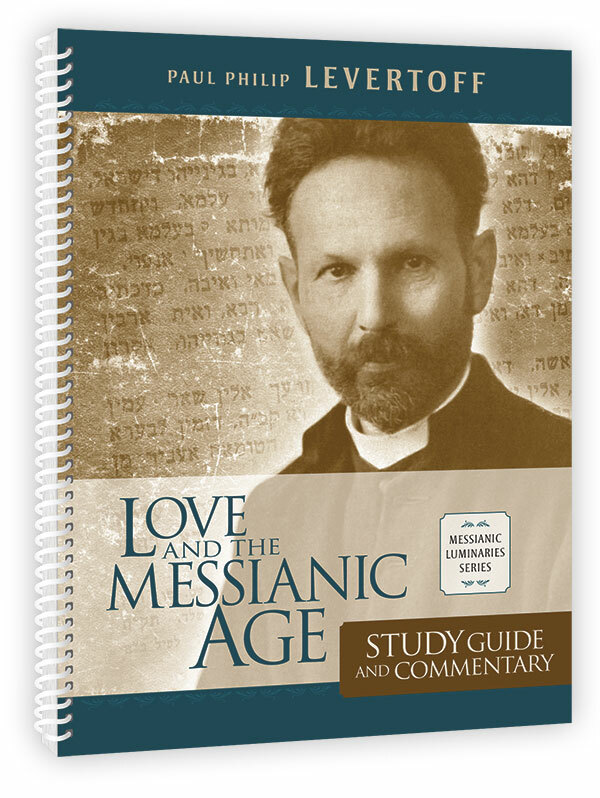 To assist readers in unlocking the contents of Love and the Messianic Age, Vine of David has created this accompanying 180-page Study Guide and Commentary that expands on Levertoff’s concepts, explains them, and connects them to the words of Yeshua and the apostles. This is more than a simple commentary on another book; it is a plunge into the deepest waters of New Testament mysticism and apostolic theosophy. The short, bite-sized commentaries will also serve well as a type of daily devotional. Order the Study Guide.